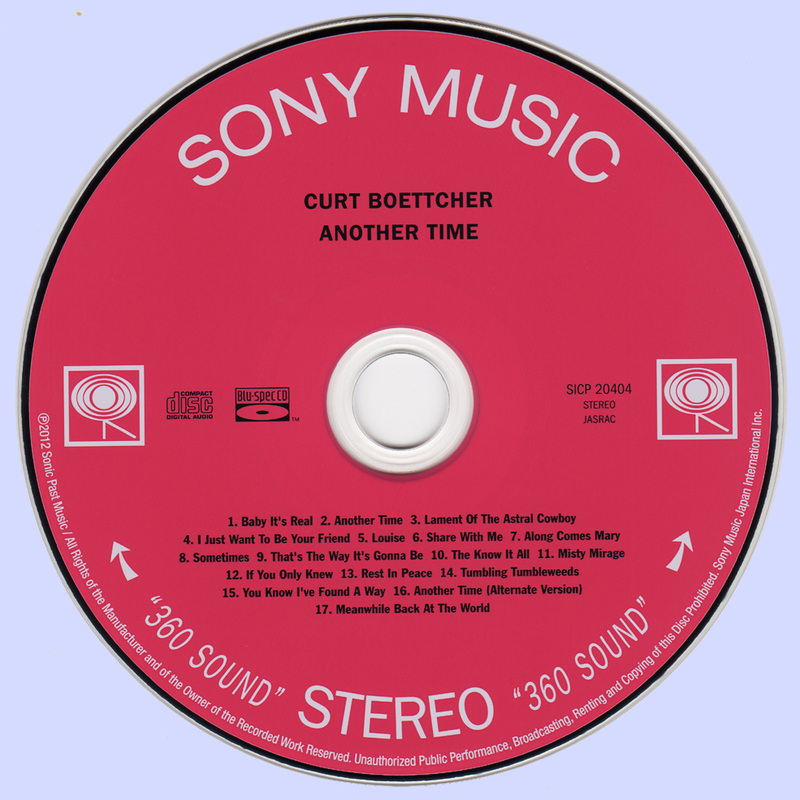 Based around the ’69 recordings for the supposed solo album on his own Together label, co-owned with soulmates and collaborators Gary Usher and Keith Olsen, Another Time is quite possibly the closest you’ll get to an actual Curt Boettcher album, even though there was an official one soon to follow. The Spector-cular opener Baby It’s Real is a song rescued from the Millennium days, the title song is a stripped down acoustic arrangement of the Sagittarius classic followed by the “hurdy-gurdy” piece of psych called Lament Of The Astral Cowboy, given away to Curt’s Ballroom bandmate Michele O’Malley, just as was the “misty” popsike ballad Misty Mirage, considered one of his highlight performances. That’s The Way It’s Gonna Be is, of course, his second attempt at the Phil Ochs/Bob Gibson-written shoulda-been HIT song, already recorded with Lee Mallory, which is as psychedelic and jazzy as bubblegum could ever get, while Tumbling Tumbleweeds is another sparkling cover, turned into a SMiLE-ing Americana. 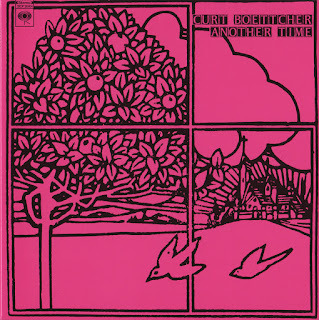 Also present is Curt’s softish country sophistication Share With Me, coupled with Sometime for a Together single release, as well as a pair of songs from another aborted solo album sessions, 1973’s Chicken Little Was Right, recently also reissued by Sonic Past Music. The first of these, Louise, is probably among the closest Curt got to the traditional folky sound after his GoldeBriars days, while the other one is a perfect slice of country bubblegum called Rest In Peace. 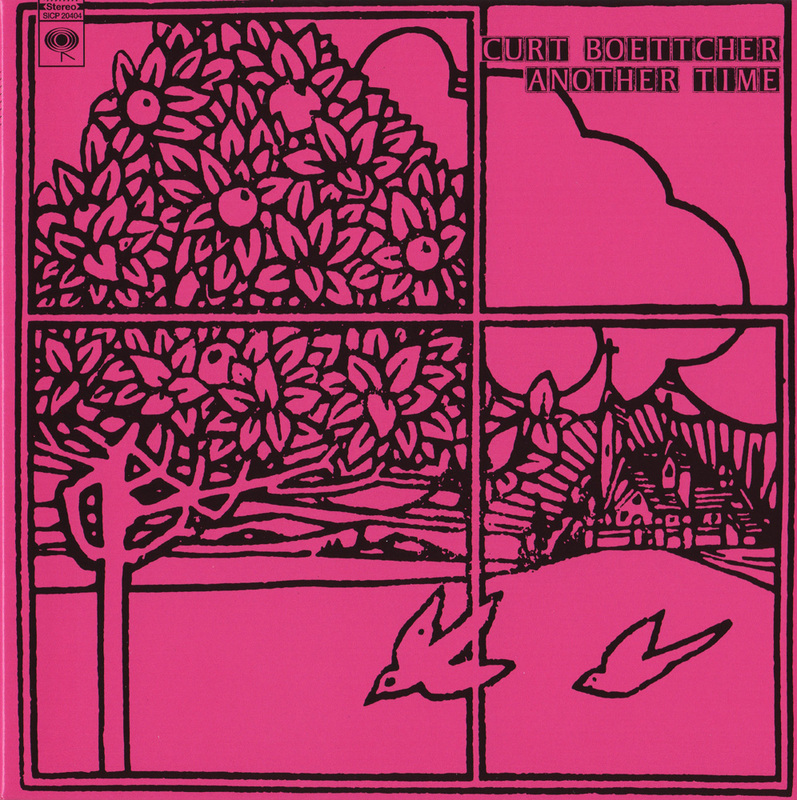 The furthest you’ll get into the past is through a bunch of groovy high quality ’67 demos of songs, later recorded by either Millennium, Sagittarius, Sunshine Company or Eternity’s Children, of which at least one not only matches but outshines the officially released version (If You Only Knew), and as a special bonus, there’s also the ’65 demo acetate of Along Comes Mary, featuring Curt on vocals, backed by the author Tandyn Almer on piano and The Association’s own Gary Alexander on guitar, along with an unknown drummer. 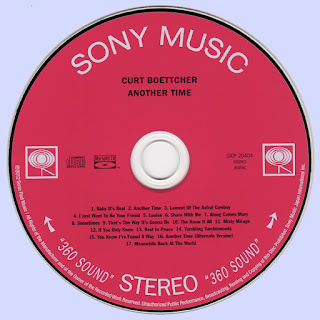 Considering the amount of unreleased Boettcher-related material that has re-surfaced in the recent years, it seems as if “another time” might as well be the subtitle to each one of his recording, foreseeing the date of its release.